I walked around the Borough Market exactly a month ago, reveling in how the South Bank has become a favorite part of the city. The market is a great place to grab a bite to eat or just watch the crowd while drinking a beer, glass of prosecco, or wine. 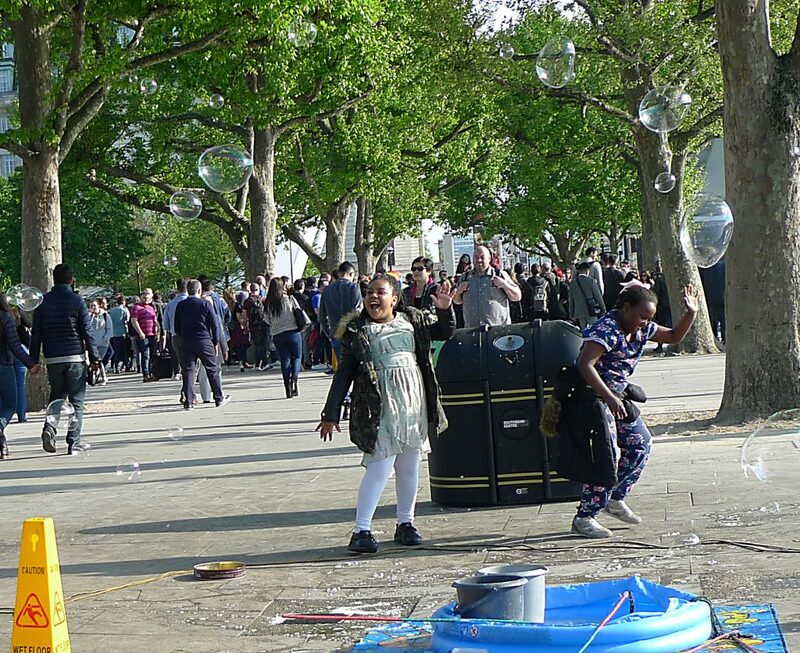 Most noticeable is how multicultural London has become, in the very best sense of the word. I arrived hungry after an afternoon at the Tate Modern, and immediately got into a conversation with two vendors selling kushari—Egypt’s national dish of rice, macaroni, and lentils topped with a sauce that blends cooked tomatoes, chickpeas, and fried onions. My son had recently visited Cairo, and the vendors and I discussed what combination of spices and their proportions should go into baharat, the Egyptian equivalent of a garam masala or ras el hanout spice mix. I went on to eat at a place called “Soul Food,” though, as I was intrigued by their variation on Caribbean wraps (a tough choice between the jerk duck and the curried goat). 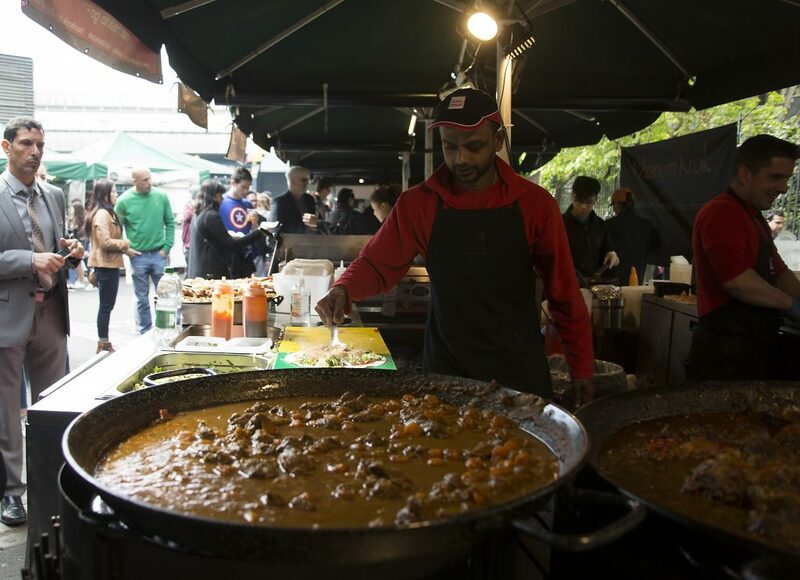 Borough Market, one of the sites of Saturday’s attacks, is a place for innovative chefs and farmers to find an appreciative audience, and it’s proof positive of how well London’s multi-ethnic melding works. Here, you can try licorice fudge or Welsh charcuterie, or a couple of fresh oysters from a seafood vendor just down from Essex. The voices around you form a veritable Tower of Babel, with practically every accent or language from around the world making an appearance (or so it seems). 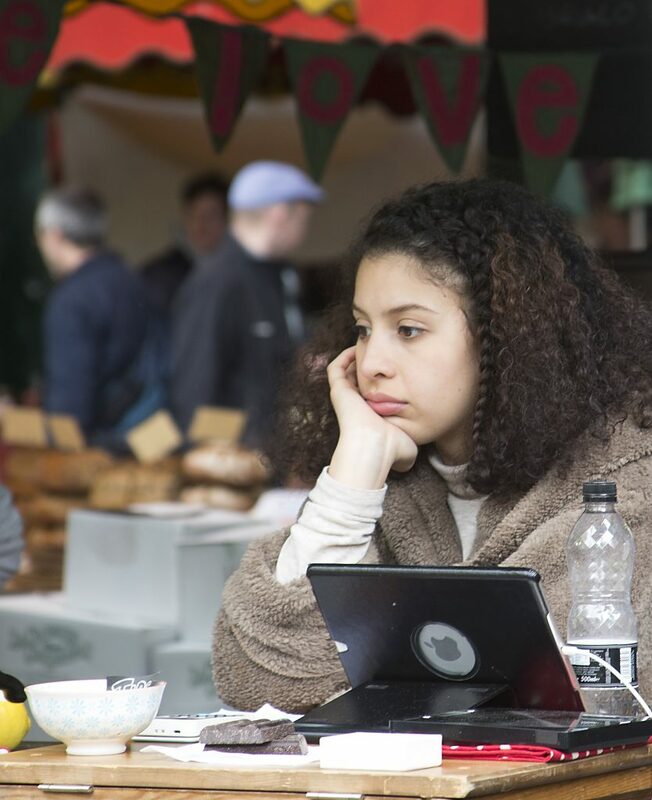 Although the Borough Market has been around in one form or another for almost a thousand years, it wasn’t always posh and filled with artisanal foods. Nor were foreigners particularly present or welcome. In the early 1970s, when I lived in London, the South Bank was a scene of urban blight and something of an industrial wasteland, and the market catered primarily to wholesalers. When I was eleven, my family moved to London from South Africa. One might think we’d have been grateful to escape the oppression of the Apartheid-era government. My father was the editor-in-chief of a multiracial newspaper, work that brought him into almost daily conflict with the law. We were always breaking some Apartheid decree—serving alcohol at dinner to black friends, visiting with someone who was banned or in hiding, falsifying an African friend’s passbook so he wouldn’t be arrested on his way home—and the police watched our home with regularity, the plainclothesmen making very little effort to hide their identity. Our home was raided by the Special Branch, and a major reason we left the country was that it appeared inevitable my dad would be arrested at some point. While I came to love its grittiness mixed with great culture, London was very different in the ‘70s than it is today. Wealth and gentrification have coincided with a rise in the presence of people from every corner of the globe, and there may well be a causal relationship to that. What were once fearful streets to me—places to walk with trepidation and constant alertness—are now pleasurable and joy-filled. Along with people from warmer climes, a sunnier disposition seems to have settled on the now much more diverse population of this great city. And this seems to be the very thing that those who would inspire terror have been trying to strike at: the places where people come together to celebrate life in all its variety. “We will never let them win nor will we allow them to cower our city or Londoners,” said Sadiq Khan, the Mayor of London, in response to the latest terror attacks, a sentiment worth repeating in any of the twenty languages you’ll overhear in this multifarious city. 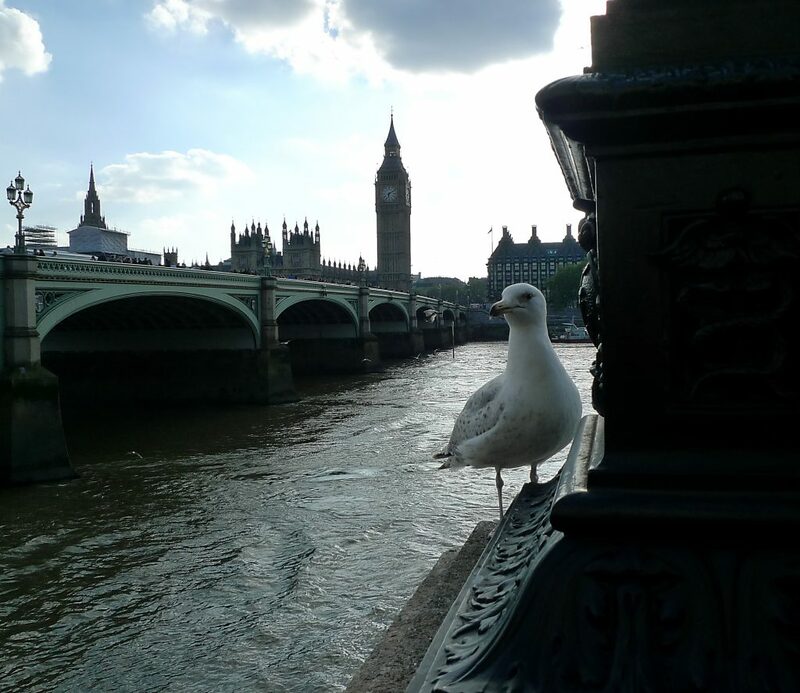 British seagull suspicious of the foreigner (the author) photographing Big Ben and Westminster Bridge.